For sometime now, Facebook has been trying to make internet cheaper for Nigerians. It actually started with the Free basics which was a collaboration program With Airtel Nigeria to offer Airtel customers free access to some selected sites. 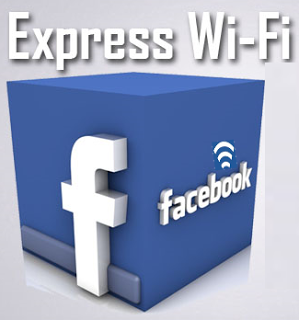 Now Facebook is partnering with Coollink which happens to be a Nigerian ISP and System Integrator based in Lagos, Abuja, Port Harcourt and Kano to launch a program which is called the express Wi-Fi. Although this service is going to be launched this week but it is already operational in some part of Lagos such has Ikota Shopping Complex. The Express Wi-Fi service which is already in full operation in India is actually a program that will allow mobile phone users purchase data from local internet service providers. The main objective of this program is to provide cheaper data plans. Although this program is going to be made available in Lagos First, it is expected to get to other states as soon as the first phase is completed. If you happen to be within the Express Wi-Fi network coverage areas, you can sign up and enjoy 14days of free data by clicking HERE.